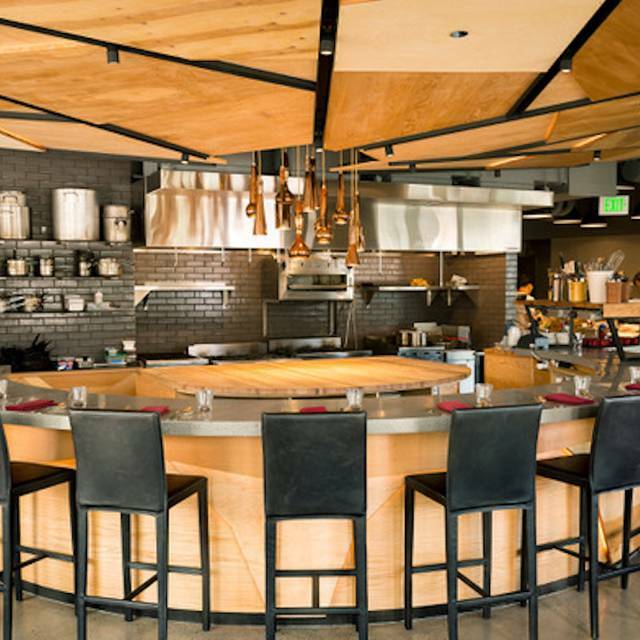 You must make reservations at least 5 minutes in advance of the time at Art of the Table. plenty of free parking all around the restaurant. We do have a garage under the building, any of the retail spots are available. 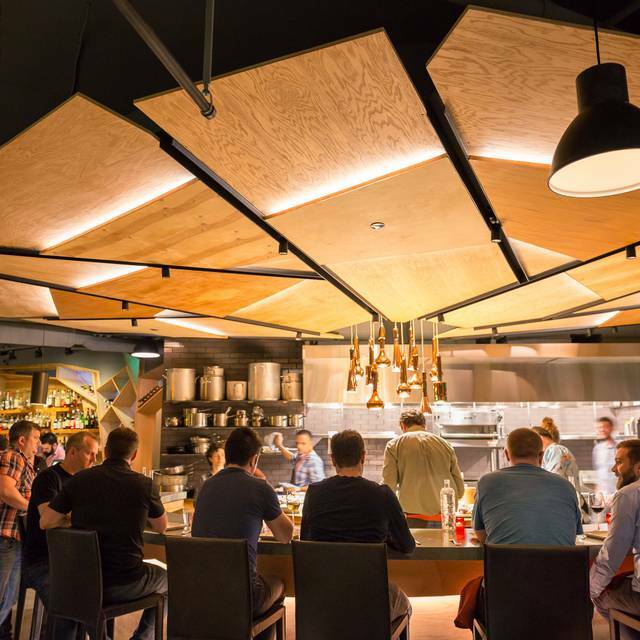 For over a decade, Art of the Table has been the restaurant in Seattle to celebrate food and those who dedicate their lives to raising, growing, foraging and catching our produce in the Pacific Northwest. Through our intimate dining room, our 10 seat chefs counter overlooking the kitchen, and our close relationship with local farmers and artisans. 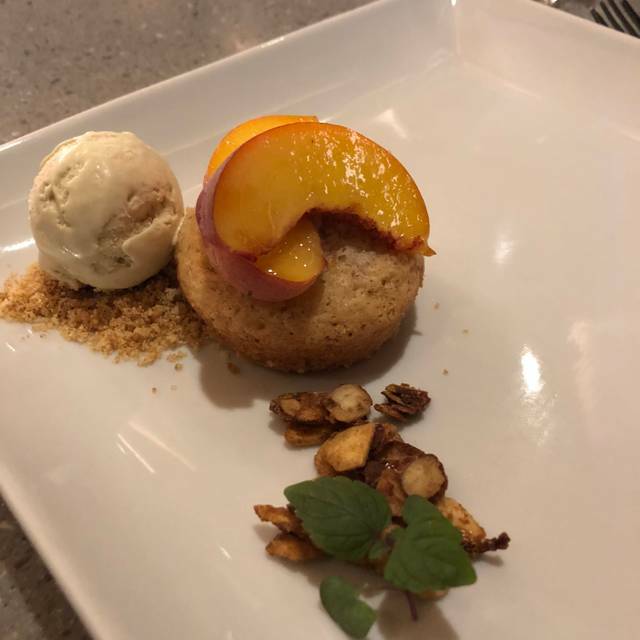 The menu at Art of the Table, crafted by chef Dustin Ronspies, changes daily to reflect a full range of seasonal, local produce, with all items made from scratch. Our tasting menus are the best expression of what we do. Along with our tasting menus, we offer a la carte dining option in the bar and lounge. Anniversary and birthday celebration went super well with the 7 course chef tasting menu. Got to try some first time dishes of the night and loved the duck breast dish the most. Very creative and each dish is different from the next! It was all very very good. I can’t gush over the whole experience. We’ve visited 1,2, and 3 star restaurants in NYC and in Europe that deliver tastings for less money. I think for about $280 each we expected a bit more. Food and service were amazing! 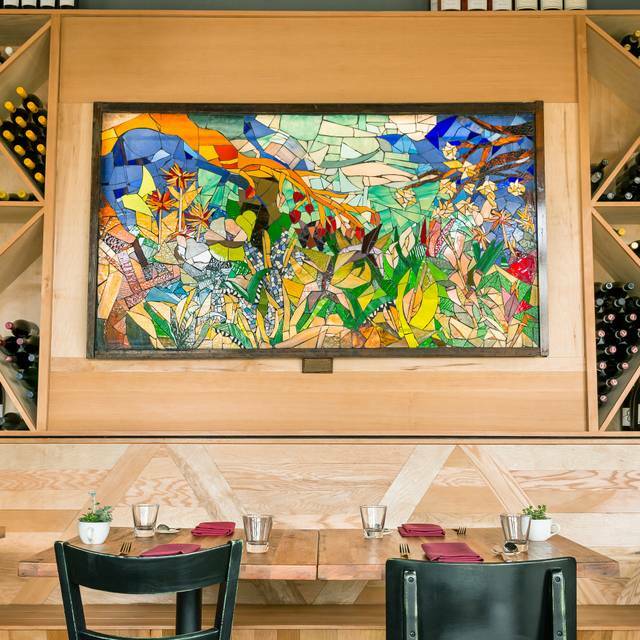 Art of the Table is pricey and if you’re not a fan of tasting menus you can dine in the bar but we tried the 5 course menu without the wine pairing. We enjoyed every morsel. Impeccable service. So fun to sit at the counter and watch everything being prepared and plated. We had great food, but our main server was very blah. He was not engaging or enjoyable. Unfortunately, this can greatly affect the overall dining experience, and it did. This place is really very good indeed. It's not cheap, but it's a special experience. Thank you. It was a magical experience from start to finish. The service was outstanding, the food was out of this world (they call it a 7-course meal and give you 12 total dishes! ), and the drinks were phenomenal. This is my new favorite restaurant! Delicious, inspired food and a beautiful restaurant with impeccable service. The price tag is appropriate. However, I wouldn't recommend it at this time- while still giving it five stars. Though the price is appropriate when spending $500 on a meal for two, enjoying the wine is a must. The wine pairing was not in any way comparable to the food. Instead of selecting amazing wines, the selection was unique and unfortunately fell flat. 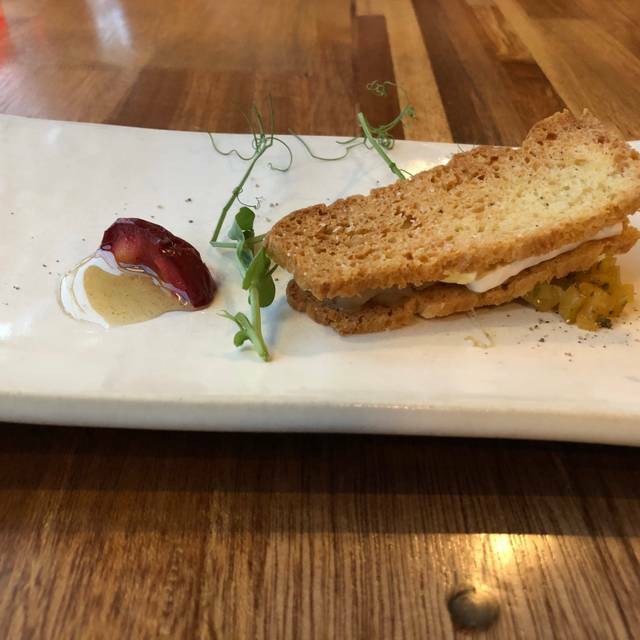 What works for this restaurant is that its unique food is extraordinary. When/if that same standard is applied to the wine pairing, it would be a natural first choice for a return experience. Without extraordinary wine, the food falls short of its potential. I'm not a wine snob. The wine selection was just not good, let alone extraordinary. We enjoyed the great food and service for three hours! You can choose 7 courses or 5 courses. I chose 7 courses, but I wish I could have chosen 5 courses. Perfectly curated menu. Superior service. Excellent interaction with the chefs while dining at the chefs table. The most amazing experience I’ve ever had. I could sum up AOTT in one phrase: trying too hard. From the three (3!?) 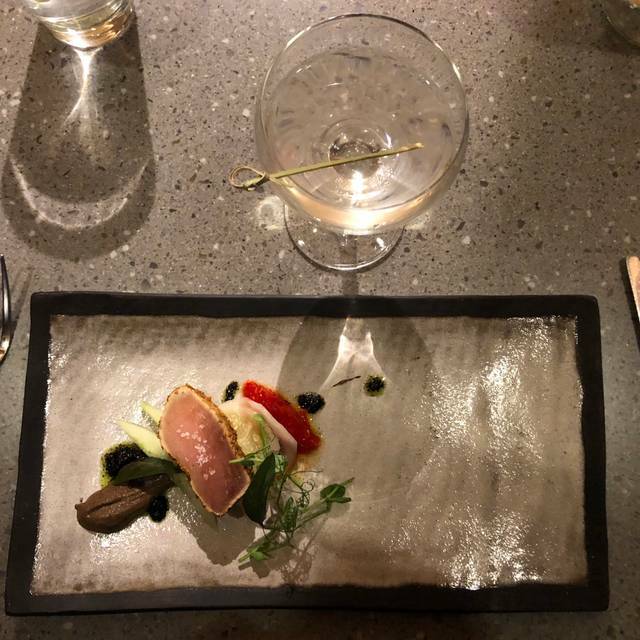 amuse bouche plates, to the weird wine choices, to the overly elaborate dishes, the entire experience was one of a restaurant that wanted desperately to be great but failed at every turn. The plates that deserved three or four tastes had six or eight. The wines weren’t just unique but downright weird, sherry mid-meal wasn’t just a “bold choice” it was terrible. The entire meal was like that. And the service. Ouch. The waiter assured us the wine pairings were “about 2 glasses worth”. It was seven. The first courses came too fast, before the previous was done. Then it was agony, we waited 20mins between courses once, many times 10-15mins with an empty table. The meal took three agonizing hours. In sum, this place needs to step back and breath deeply. There is talent, don’t try so hard. Excellent service & food - staff was knowledgeable about all of the dishes & the execution by the kitchen was first class. The restaurant seating area offers a choice of 5 or 7 course fixed price menus. We had the 7 course meal and purchased the wine pairing as well. When splurging on a meal in this price point, you want to be wowed - and we were "wow-squared". It was an phenomenal meal. Each course was extraordinary. 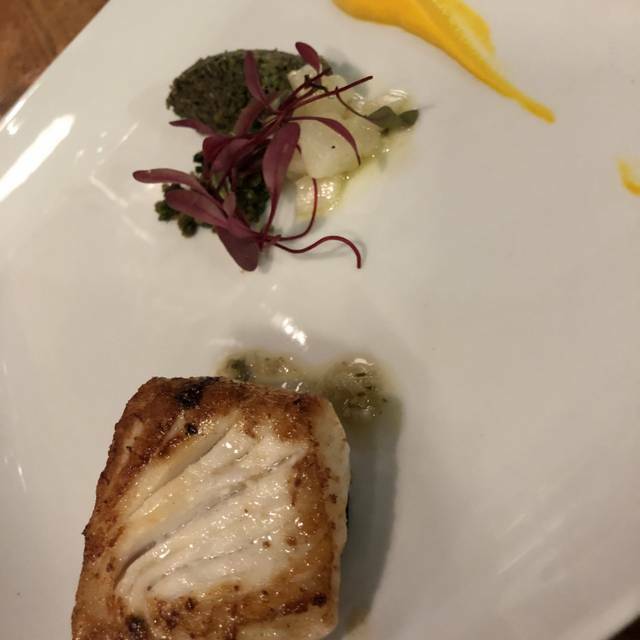 The food was delicious, the ingredients were often unusual, the flavors were 'to die for' - just a culinary experience unlike we have had before in Seattle. Can't recommend it highly enough; though be sure to be prepared for the price point. Worth ever bit of it. We went to Art of the Table on our anniversary and had an incredible experience. The food was out of this world and the service was exceptional. It was a slow night so it was a bit quiet, but we can't wait to go back when the energy is high. The staff did a great job making our dining experience special. I would highly recommend AOT. Thank you for a great night! I have been there 2 times and both experiences were excellent. The service is superb and the ingredients are always fresh. They will cater to any food restrictions you have. Amazing service from Taylor and Lily made the dinner even more special! The chillest restaurant crew I have ever seen. Everyone was friendly and took time to explain things, discuss the food and it's preparation. And the food was art! This was a tremendous evening. I wss very excited for this dinner and I have to say I was disappointed. Food had great pieces, but also pieces I wouldn't eat again. Excellent food which we are still raving about, wonderful receptionist and staff! Our only issue was our main server. The restaurant was not too busy and we were only three people in our table. Before we began our orders. I politely asked if he could take a photo before the table became cluttered and he said he wanted to get our orders in, fine we said. When he came back, I asked again and he put it off twice. I don’t know what that was about! Finally, I asked the receptionist and she graciously accommodated us. He seemed rushed but did answer our questions, and explained the courses up to a point, but would walk off while talking, his voice trailing off. He was polite to a point but seemed to be put off or indifferent with us. Maybe he was bored with his job? I don’t mean to single him out but it did affect our overall experience since we are talking about him right now. He did come back with answers when we had questions about the wine and answered our questions regarding the courses. When you do a tasting, there is a rapport that you establish with your server in connection with the meal. It is part of the overall experience. It must have been an off night for him or something. He would be an excellent waiter if he just engaged his customers a little more and had a little joy in his step like the rest of your staff. That would have made the whole experience worthwhile and an unforgettable one!!! Everything was amazing, the food was exceptional and I loved every mouthful. The staff are friendly and happy and just overall was a great experience. Met a lifelong friend here for dinner on his suggestion. Service was impeccable and knowledgeable about everything. Most of the courses were slam dunks and all were adventurous. Highly recommended. Very special experience. Food was exquisite. Spacing between courses was perfect. All around an outstanding meal. I took my partner to Art of the Table for his birthday. Art of the Table has amazing food that looked and tasted amazing! The food on the tasting menu was definitely worth the cost. 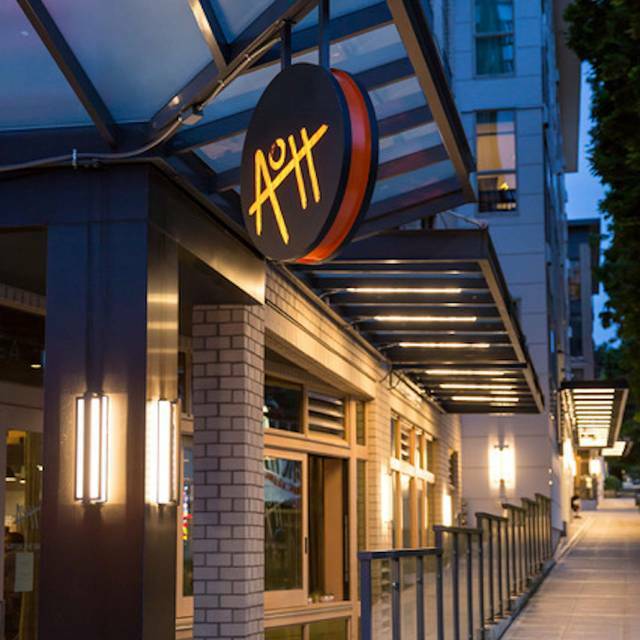 I would recommend this restaurant for anyone who is interested in a fine dining experience using local ingredients found around Seattle. Additionally, the staff were very polite and knowledgeable about the food. The staff were attentive and personable. I would definitely come here again. One of the waitress was horribly unkind - NO eye contact, she spit information about the food and quickly leave the table. There was no interactions, but only bad attitude. INCREDIBLE! Every morsel was off the charts amazing. And the level of customer service was impeccable and flawless. We will be back again and again and again. Went for Valentine's Day. The tasting menu was decent but for $130+ 20% gratuity it just felt like an average restaurant trying to pass off a high end tasting menu. Overall the dishes tasted good - just maybe a tad overpriced for what it was. Go to see what the chef and team there are creating for you. If you're not there to be surprised and delighted by the chef's choices for you, you're at the wrong place. Wonder!! Best restaurant in Seattle, by far. Pricing wasn’t clear on the menu and what they told us wasn’t the price they ended up charging us, they brought us the wrong bottle of (more expensive) wine and the food was just ok.
Amazing place. Did the vegetaarian tasting and it blew my mind. Loved the whole experience. We went there to celebrate a birthday and they did an amazing job! Also loved that they had a pescetarian and vegetarian option for us upon our request. The wine pairing and food were amazing! Can't wait to come back again. Loved our meal! From the amuse Bouche to the beautiful dessert! We have always loved coming to Art of the Table and look forward to our next visit! Staggeringly good food. Expect your palate to be challenged, but never assaulted. Much more laid-back setting and service that similarly high-end restaurants. Wonderful! The food was good, but not great. Usually for $550 for two people I expect really amazing food (and having been to many Michelin restaurants, this does not compare). 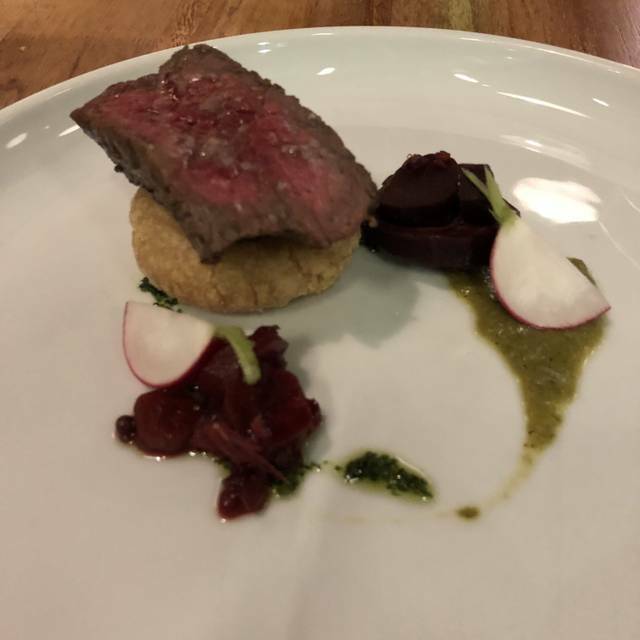 The wagyu steak was tough; first round of steak was returned to the chef, while the second round was edible, but still tougher than I would have liked. Some of the pickled veggies were almost overwhelmingly strong. Interesting, but not wonderful. The dessert would have been much tastier if it weren't so salty. Basically, good food, but not worth the price. You can taste different ingredients in every bite, but each one had solid good flavor. Every course was excellent and service was great. We had a wonderful dinner celebration my wife's birthday. The food was great. The ambiance was casual cool. And the wait staff was very accommodating. Certainly not an inexpensive meal but worth enjoying on a special occasion.